The Watch Dude: Casio Marlin Dive Watch (MDV106-1AV): A Stainless Steel Bargain for Divers and Fisherman! Casio Marlin Dive Watch (MDV106-1AV): A Stainless Steel Bargain for Divers and Fisherman! If you are the nautical-type--a diver, a fisherman, a surfer, or someone who likes the beach--you appreciate the look of a dive watch on your wrist. From Jacques Cousteau to the local fisherman, nearly everyone associated with the sea has a dive watch or two. 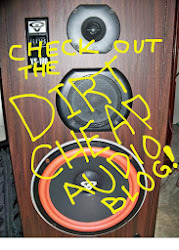 Unfortunately, the high dollar dive watches from Rolex tend to send messages to the populace like - I have money, overcharge me, rip me off, or mug me. If you want an alternative that fits in everywhere you go, check out this quartz analog dive watch from Casio. It's technically called the MDV106-1AV. It's a catchy little moniker someone in marketing must have dreamed up. 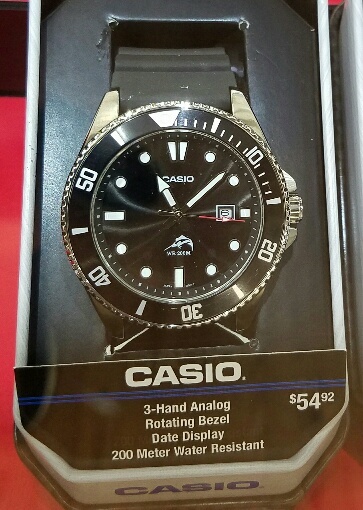 Since it has a picture of a Marlin on it, I'll just call it the Casio Marlin Dive Watch. If you are looking for an affordable, durable, timepiece to accompany you on your aquatic adventures, this Casio Marlin is the one to get. Catch this low key Casio Marlin and get back to fishing. Spooky Watch Photos to make your Pulsar run cold!